Welcome to the Bluetree Group! 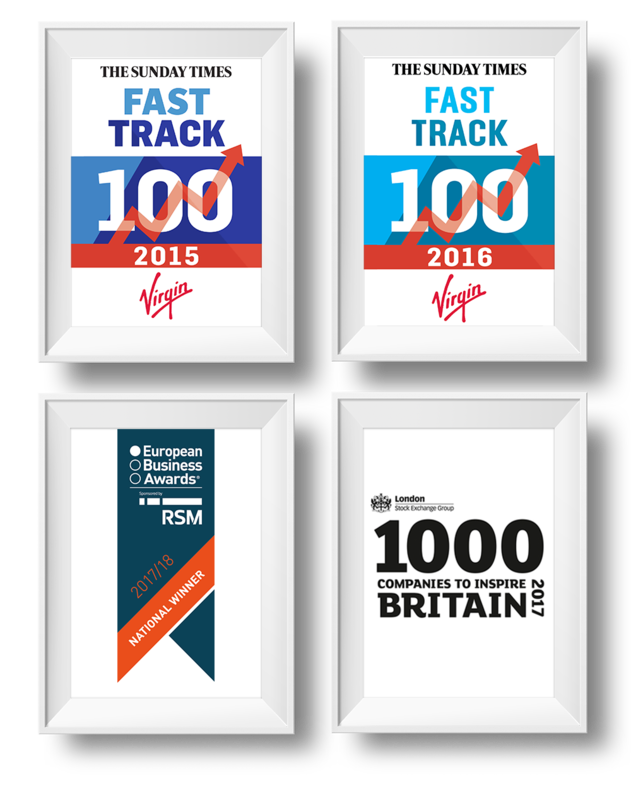 We are an established and rapidly expanding retailer and manufacturer of print, and proudly sport the title of Sunday Times Virgin Fast Track 100 (awarded for the last two years running). We operate several brands tailored to different print buyers, from end consumers to print resellers. We cater to micro and small businesses right up to multinational FTSE100 companies. Innovation is what makes us different: we use web-to-print technologies, the latest production technology, and an ever-expanding range of products to make sure we continue to move print forwards in an increasingly digital age. We invest in our people as much as we do our technology to stay committed to our innovation promise: in 2017 we created more than 60 jobs and invested £5m in new technology. In addition, we never use printing presses older than 4 years to make sure we deliver the top quality, best techniques, and fastest service to you. Our mission is to create the future of print. We want to make buying print as easy as possible, whether that’s dedicated account managers for our FTSE 100 companies or easy design-online templates for new print buyers in micro businesses. For two years in a row we have been named as one of the top 100 Fastest Growing Companies in the Sunday Times Virgin Fast Track 100. Operating through many brands including: instantprint, Route1Print, instantprint Pro and Bluetree Connect we target all sectors of the market. We print everything in-house, which means our stringent quality controls are followed from the moment you place an order. We’re ISO 9001:2008 accredited, so you can be sure that we take quality seriously. All of our companies are based at our 100,000 square foot Rotherham production site. Split into 3 production streams we are able to offer the best printing for our customers.